Amazon arbitrage is a great way to make money online and I’m going to share exactly how you can get started! Over the last several years, retail arbitrage sourcing on Amazon has become a popular business model for individuals and families looking to make money online. Considering the fact that Amazon basically owns the e-commerce world, that doesn’t come as a huge surprise. Some people have even taken their Amazon business from a side hustle all the way to a six-figure income. How is that possible?! Retail arbitrage is the process of purchasing discounted items in retail (physical stores) and listing them on Amazon for a higher price to earn a profit. Amazon to Amazon arbitrage is similar only the retail arbitrage sourcing is from Amazon rather than a local store. How Does Amazon Arbitrage AKA Retail Arbitrage Sourcing Work? Simple, right? Just visit the clearance aisle of your local Target/WalMart/sporting goods store and check all of the items that are on clearance. A good rule of thumb is to look for anything that’s 75% off or more. That will leave you enough profit margin to cover the Amazon fees they charge on every sale. In order to start selling on Amazon, sign up for an Amazon Seller Account. The key to reselling on Amazon is finding products that have a big enough discount to make them profitable. Amazon takes roughly a 30% cut of the sale price. Therefore, you need to buy at a significant discount in order to make money. Finding cheap products is straightforward but sometimes very time-consuming. One option is to manually look up every item on Amazon and do the calculations using the Amazon FBA revenue calculator. This method is free but requires a significant time investment. If you spend too much time here, your profit begins to dwindle. The most efficient method is to use Amazon arbitrage software boiled down to a user-friendly smartphone app like Profit Bandit. This app does all of the calculations for you behind the scenes and gives you a straightforward way to see your potential profit on each item. After you have Profit Bandit ready to go, just get to scanning! The secret to Amazon arbitrage is that it’s a numbers game. The more you scan, the more likely you are to find a profitable item to sell. There are people making six-figure incomes solely from Amazon arbitrage. If you ask any of them what their secret is, it comes in two phases. The first phase is sticking with it. When you first get started with Amazon arbitrage it’s difficult to find good deals that will turn a profit. Don’t get discouraged though! Persistence pays off. Over time, you start to learn what items and discounts are profitable. It’s almost like a sixth sense for online selling. Your instinct will guide you towards profitable products and you’ll start to find more and more deals. The second phase is scaling up your operation by building relationships with the workers and managers in your brick and mortar stores. If you ever want to get away from scanning items one at a time and create something bigger, you have to build relationships with the people who work in the stores. These relationships will pay off big time because you’ll get early alerts about products that are going to be discounted. The reason things get put on the discount rack is because they’re either going to stop being sold in the store or they’re slow movers that are discounted to sell faster. Slow-moving products tie up valuable shelf space. Replacing them with faster moving items means more profit for the store. The key here is to build up enough rapport with the store manager/stockers that they notify you of upcoming clearance sales and give you the first crack at them. Oftentimes this will be entire pallets of overstocked items that the store needs to move out, and if you take everything at once, it makes the store manager’s job that much easier. Instead of paying someone to stock the shelf and wait for the items to be sold one at a time, unloading an entire pallet with hundreds of items to just one person is much easier and efficient for the staff at the store. 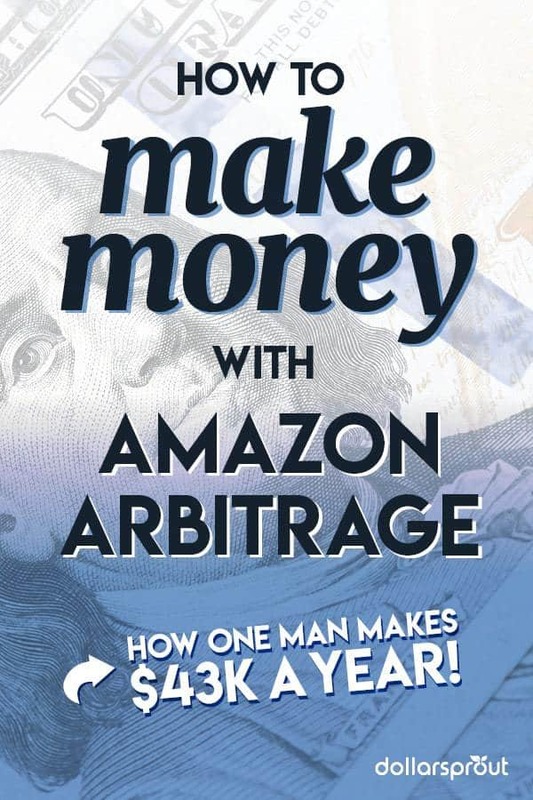 How Much Money Can You Make With Amazon Arbitrage? Your profitability in this venture depends on a couple different factors. The first one is competition. If you live in a large city with a lot of other people employing a similar strategy, you’ll constantly be competing with them for the best deals. However, if you live in a smaller city with less competition, you may be the only player in the game, and you’ll quickly build up a monopoly on flipping from all your local stores. The next factor is your location. If you go to your local Target store and clear out all of the profitable items, you’re now out of inventory until that store gets more discounted goods or until you find deals at another store. But if you live in an area that has several brick and mortar stores, you’ll be able to hit higher profit numbers before depleting all the deals. Once you do run out of items to source, you’ll need to start looking in other cities around you to keep growing your business. 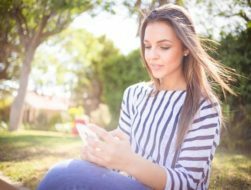 Full-time business or part-time side hustle? It’s difficult to give an actual dollar amount to estimate earnings since it’s dependent on the number of hours you put in. Some people work 40 hours per week on this venture and make over $100,000 per year. Personally, I hate shopping. But if my wife insists on me going to the store with her I’ll spend my time there scouting out deals and looking for anything to flip on Amazon to make some extra money. Turning a dreaded shopping trip into a $100 per hour side hustle is the online equivalent of taking lemons and making sweet, sweet lemonade. What I recommend is the next time you go shopping, visit the clearance aisle and check the price of a couple items on Amazon. If you buy an item and sell it for 4x that price online, you will make money. Once you’ve done this a few times and have made some money, invest in Profit Bandit to grow your business. What’s Next After Amazon Arbitrage? Amazon arbitrage isn’t going anywhere. Stores will continue to discount items and people will continue to buy them at retail price on Amazon. While this is a sustainable business model, it has two flaws: 1) It’s directly tied to the number of hours you put in, and 2) You may face profitability caps due to geographic constraints. The next step after Amazon arbitrage is to create a brand and manufacture your own products. This strategy is known as private labeling, which is what I do and document on my blog at AcceleratedFI. In order to get started with private labeling, you’ll need to find an existing product for sale and have a factory customize the product and the packaging. When I first started, I decided to sell garlic presses. Unfortunately, the $1,600 I spent on my initial order of 250 garlic presses was a total loss. I ended up selling them for less than I had paid and I was losing money on every single one! My first 6 months showed a $1,600 loss, but my next 6 months turned a $2,000 profit. Then in 2016 I did about $170,000 in sales and had a $20,000 profit. In 2017, I kept reinvesting in my business and hit $236,580 in sales and a $43,000 profit. Private labeling is much more complicated since you need a factory to produce products for you, but your profit margins will be much higher and you’ll have total control over your supply chain. This means when you find an item that starts selling well and making money, you have the ability to increase your order from your manufacturer to 1,000 or even 100,000 units. The ability to quickly pour more money into manufacturing and advertising means the ceiling for your profits is practically unlimited. You also have the ability to completely separate yourself from the business. The ultimate goal is to build a cash flowing asset that will sell for a multiple of the profit. The typical sales price of a private label business is 25-35x monthly profit. Unlike Amazon arbitrage, which depends on manual input and is not scalable, private labeling is easy to scale and can be transferred to another person to continue to run the business and collect the cash flow. Amazon arbitrage is a great side hustle for e-commerce beginners. It’s an easy way to get acclimated to the world of e-commerce before moving on to something a bit more challenging, like private labeling. With no major upfront costs, it’s also relatively easy to turn a profit or even start a full-time business reselling on Amazon. Have you tried Amazon arbitrage? How did it go? Jim blogs about financial independence over at AccelerateFI.com. He shares stories about different side hustles and money saving hacks he's tried on his own journey to early retirement. You can follow him on Twitter at @acceleratedFI. Hi, so I am in my senior year of high school and don’t know what I want to do after high school. I heard of retail arbitrage but don’t know if I should try it. Amazon charges $39.99 for FBA and really need to find some way to bring income in. I have a lot of medical issues and money really tight.